Director of 1FL TV, Liechtensteins first own television station, Peter Heeb, told eurofire.blog.de that the broadcaster has currently no plans to join the EBU, because they don't have the budget for an active EBU membership. An option for 1FL TV is, that a suitable sponsor will finance the membership. Then they will decide, if it will be possible to join the European Broadcasting Union. Until they are not in the EBU, Liechtenstein won't have the chance to take part in the Eurovision Song Contest. 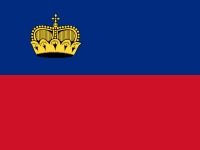 Liechtenstein has tried to take part twice in the past. Both attempts failed because they don't have a national broadcaster. United Kingdom: "Your country needs you!" What a difference 7 years make! The logos of the Eurovision Song Contest, Junior Eurovision Song Contest and Eurovision Dance Contest are property of the European Broadcasting Union.